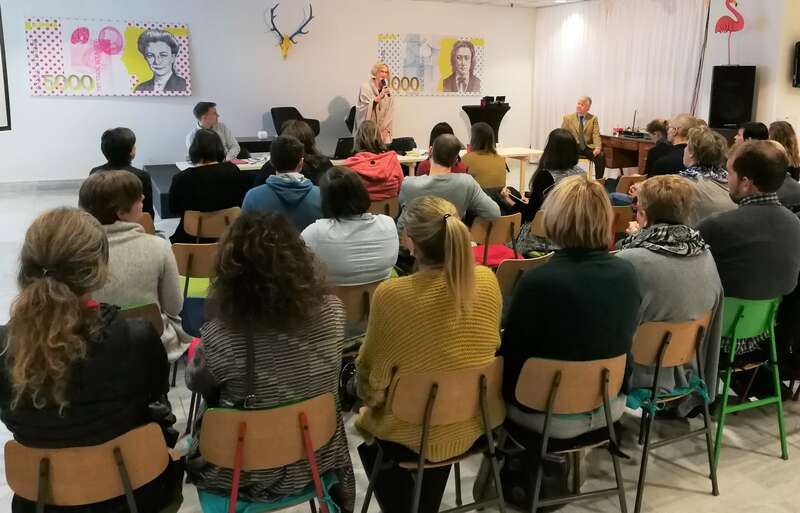 Ljubljana, 29 November 2018 – The consortium of CNVOS, Institute PIP and DRPD Novo mesto – the Active Citizens Fund Operator conducted public consultations with the key stakeholders. Support to civil society is one of the key priorities of Iceland, Liechtenstein and Norway under the EEA and Norway Grants. For this purpose, an Active Citizens Fund will be implemented in each beneficiary state. The objective of the Active Citizens Fund is ‘Civil society and active citizenship strengthened and vulnerable groups empowered’. The aim is to develop the long-term sustainability and capacity of civil society organisations and the civil society sector as a whole, with the aim of strengthening its role in contributing to policy and systemic change, promoting democratic participation, active citizenship and human rights. The allocation to the Active Citizens Fund in Slovenia is EUR 3,000,000. In the Discussion Paper the consortium of CNVOS, Institute PIP and DRPD NM, appointed by the FMO as Fund Operator, identified the main needs of the NGO sector in Slovenia and focus of the Fund in the areas of support. environment and climate change (outcome: Increased civic engagement in environmental protection/climate change). In the second part, a discussion was held on the needs of NGOs in terms of capacity building. The participants discussed the needs of NGO sector in Slovenia in general, needs of small, medium and large organizations within the framework of the Active Citizens Fund. The conclusions of the consultations will make a valuable contribution to the following steps in the programming of the Active Citizens Fund.